We’re about half-way through April and this week’s updates include one update from Facebook sandwiched between two updates from Twitter. Twitter Pop-up Web Notifications Coming: In an effort to let users know when someone is engaging with them in real-time, Twitter has started to release pop-up web notifications. Notifications have always been available but only through email. Now users can opt to receive pop-up windows that appear near the bottom of their browser to let them know when their tweet was retweeted, replied to, and/or marked as favorites. Users can also opt to be notified when a new user follows them or sends them a direct message. Facebook Newsfeed Update to Combat Like-Baiting: In their continuing quest to make sure users only receive quality content, Facebook is modifying their algorithm to combat “like-baiting.” Facebook defines “like-baiting” as “when a post explicitly asks News Feed readers to like, comment or share the post in order to get additional distribution beyond what the post would normally receive.” While like-baiting does work, Facebook has found in surveying members that they found these type of stories 15% less relevant. 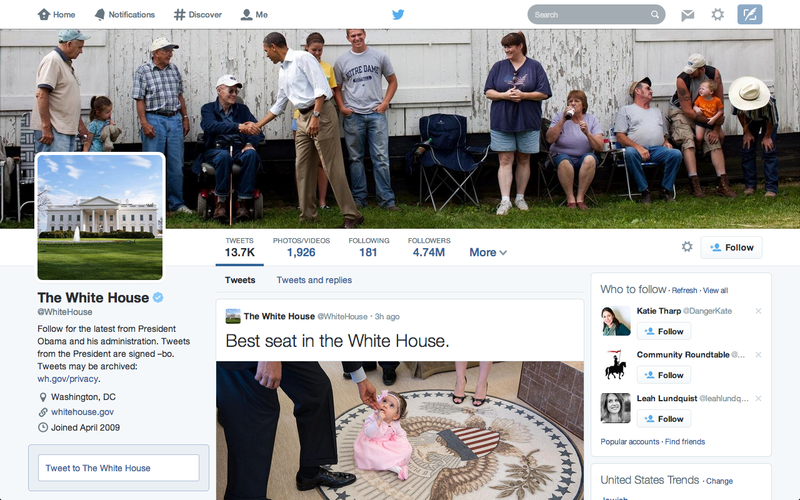 Updated Twitter Profiles on the Way: Twitter is rolling out new profile pages to users. The new-and-improved profiles are already available for some users. The new profiles include a wider banner image, tweets you’ve sent that have received the most engagement, and a pinned tweet of your choosing to tell potential followers what you’re about. The new profiles will also allow Twitter users to filter the tweets of a timeline they’re viewing (i.e. only tweets with photos or tweets with replies).